Children are the lifeblood of the future. Their bright eyes and open hearts should inspire us all. Children are so excited about learning all things from the time they are born. After language begins to develop, children become interested in reading and writing. Reading and writing are subjects that everyone has done. For some, learning comes seamlessly but for others, time and care must be taken. In every school district there will be children who struggle to follow along with the curriculum put in place. How we handle those challenges is the bigger question. Teachers are constantly brainstorming ways to help their students become successful, but time is limited. In Poudre School District the Director of Integrated Services (special education), Sarah Belleau, recognized the need to give both students and teachers strategize and a helping hand. All of the good intentions in the world must be supported, and the truth of the matter is that often this comes with a monetary cost. In 2013, Sarah Belleau applied through the Colorado Department of Education for a grant focused on intervention for students with disabilities in literacy areas. The Literacy Achievement for All Grant award to Poudre School District was a little over one million dollars, to spread the course of 4 years. It allowed the hiring of 3 literacy coaches, Teresa Ashton, Janet Klein and Julie Woolner. Julie Woolner has worked in the field of special education since 1997. She has taught students with various disabilities from Kindergarten through Sixth Grade, and is currently a Literacy Coach with Poudre School District. She has a Masters Degree in Special Education. Teresa Ashton is an instructional literacy coach in Poudre School District. She supports special education teachers in implementing research-based practices, conducting progress monitoring and analyzing data to guide decision-making. During her 20 years in education, Teresa has taught students with disabilities in preschool through 12th grade, as well as middle and high school students in reading and language arts. Teresa holds a master’s degree from Valdosta State University in Special Education, and is currently working towards earning an education specialist degree from University of Northern Colorado in Administration. Janet Klein is a Speech-Language Pathologist and has been practicing in this field for nearly 25 years. Additional, she has certifications and licensures in the areas of Secondary English-Language Arts and Special Education. She has served students in the hospital setting at Children’s Hospital in San Diego, California and The Children’s Hospital in Denver, Colorado as well as the public school setting since 1987. She has provided speech and language services to students, Pre-k through middle school for the past 25 years. 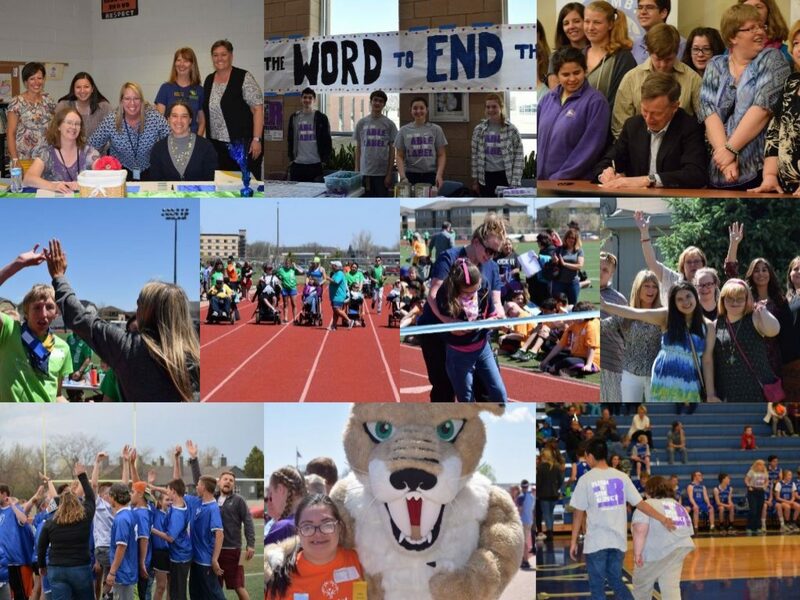 The grant’s intent is to increase achievement for students with disabilities in language, reading and writing and to improve outcomes for students with disabilities in Northern Colorado through shared professional development opportunities. The students primarily targeted by the grant are students pre-k through 5th grade supported under and IDEA 2004 identified with a disability in the areas of speech/language, specific learning disability, physical disability or serious emotional disability. – Facilitate instructional decision making through the examination of progress monitoring data. Data collection and analysis is important and sometimes underemphasized piece of education. Critics equate it to turning education into a business. On the contrary, by collecting data and learning where emphasis should be placed, educators are able to focus in on areas specific to students. Data collection to inform instruction is a huge part of how literacy coaches work with general and special education teachers. It is also a part of the accountability to the Colorado Department of Education. “It’s been an amazing experience personally. I feel so fortunate to be in the position and so lucky to make a difference with students and teachers. (It is) really fun.” Janet Klein. In the 2 years of its existence Ashton, Klein and Woolner have done an exceptional job creating a program that is supportive, educational and resourceful. Their commitment to teachers and students is contagious.